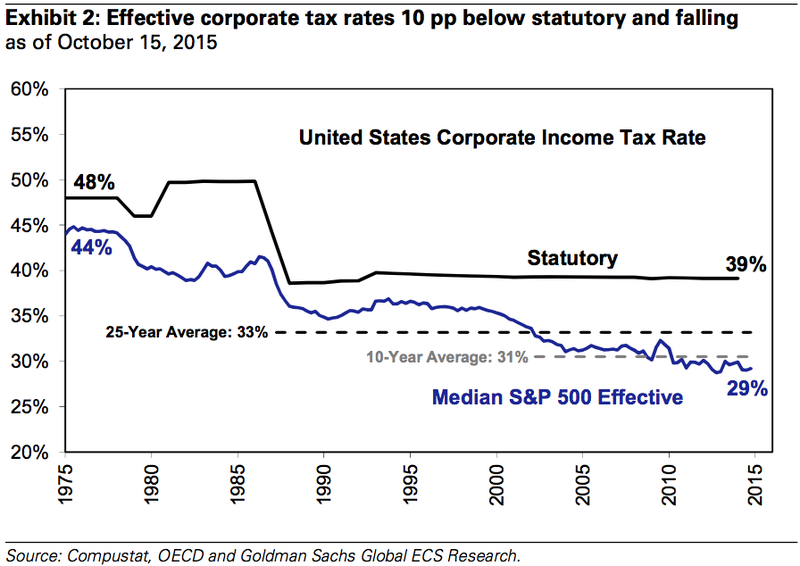 The US corporate tax rate is among the highest in the developed world. But the 39% statutory rate isn't even close to what most big US companies pay. About 33% of S&P 500 revenues came from outside the US, but with most companies doing business abroad electing to park those earnings overseas, effective tax rates for America's biggest companies have stayed below statutory rates. "A tax incentive to repatriate foreign profits continues to be a topic of debate in Congress and has received some bipartisan support," David Kostin at the equity strategy team at Goldman Sachs wrote in a note to clients on Friday. "Members of both parties would like US firms to repatriate foreign profits but they differ on how best to achieve that objective. Key lawmakers in the House and Senate have sought to use revenues from a tax on repatriated profits for infrastructure improvements. We expect that corporate tax rates will remain a topic of debate amid the looming debt ceiling and budget negotiations." 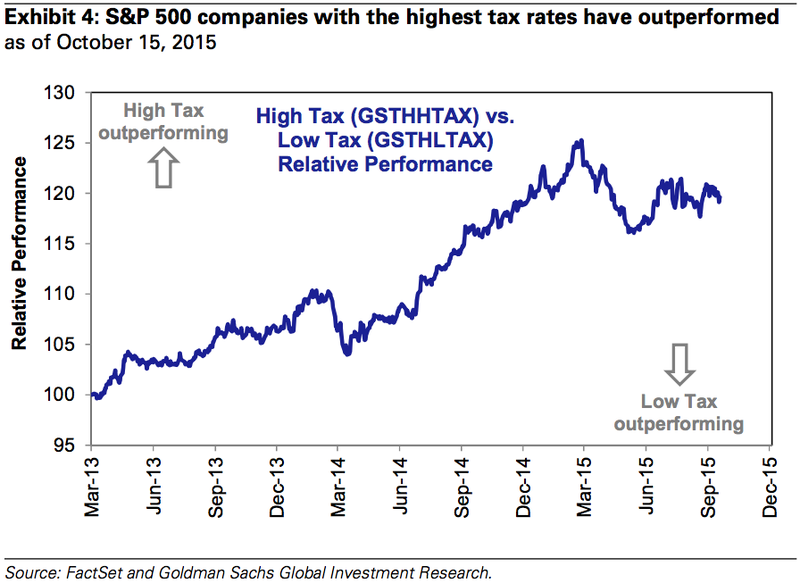 Goldman SachsGoldman added that as the presidential race continues — with candidates like Bernie Sanders looking to increase the corporate tax rate while others like Jeb Bush and Marco Rubio have proposed cuts to this rate — this issue is likely to stay in the headlines. And while the typical narrative is that what US companies need is a lower tax bill to be successful, those companies paying higher taxes have seen their stocks outperform those with a lower bill, as the strong US dollar has benefited companies that do most of their business domestically.